Last year I decided to take the plunge and start a bullet journal. For the first week or so, I LOVED it. And then it became a burden. And then I quit. But here I am today, with a fresh outlook on bullet journaling, hours of browsing Pinterest, and the initial setup behind me. 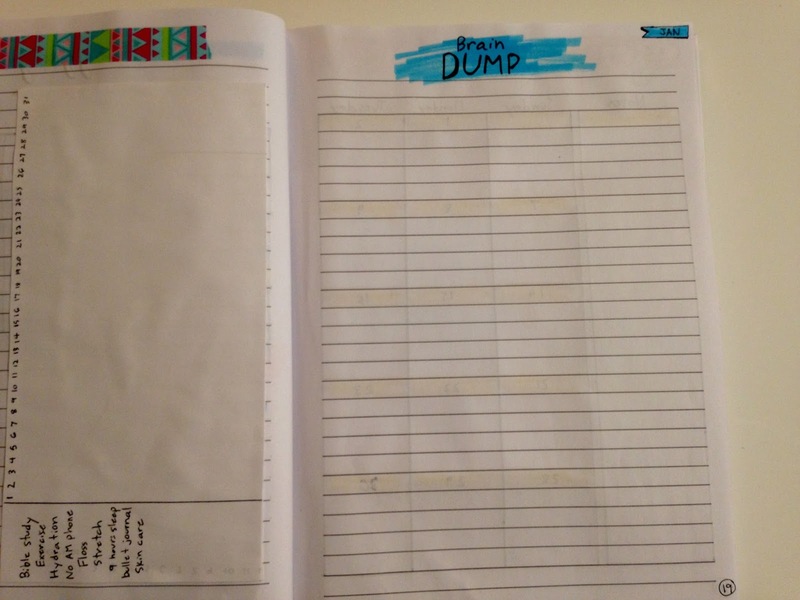 So, without further ado, here is my bullet journal. Not much, to be honest. But I've compiled a list of the bare necessities. 1. Lined, blank, dotted or a square journal. 5. Anything that will work as a ruler. First off I have the notebook itself. I was given this one as a gift. It's a simple, lined journal with nothing spectacular about it. I didn't want to buy something really expressive since I'm not sure if I'll even stick with bullet journaling. It lays open really well, though. Which is something I feel is necessary. First I started with an index. I feel like it's really nice to have one, that way if I totally forget where something is, I can always find it again. You may see that I lightly wrote Key on the other page. I'm still considering if I want to make one. I feel like I won't even use half the symbols, though. Right up there is my prayer list. I hope to write them all down, and then check them off as they're answered. And then on the right is my thankfulness list. I want to write down one thing every day. Left is going to be the place I capture all my random blog post ideas. And the right is self-explanatory. The site, username and password. I didn't write down any yet, that way I could take the photo without having to go through and blur out all those passwords. Also, don't my nails look nice? I rarely paint them, so this was a bit exciting for me. I cannot wait to start on this page. I'm hoping to read 50 books this year. In 2017 I read 41, and that's only 9 less, right? I can totally do this. And then my other page I left blank, in case I have another idea. THIS ONE IS MY FAVORITE! Eep, just look how lovely and exciting! Do not ask how long this took me. I wanted an overview of the entire year, and here I have it. 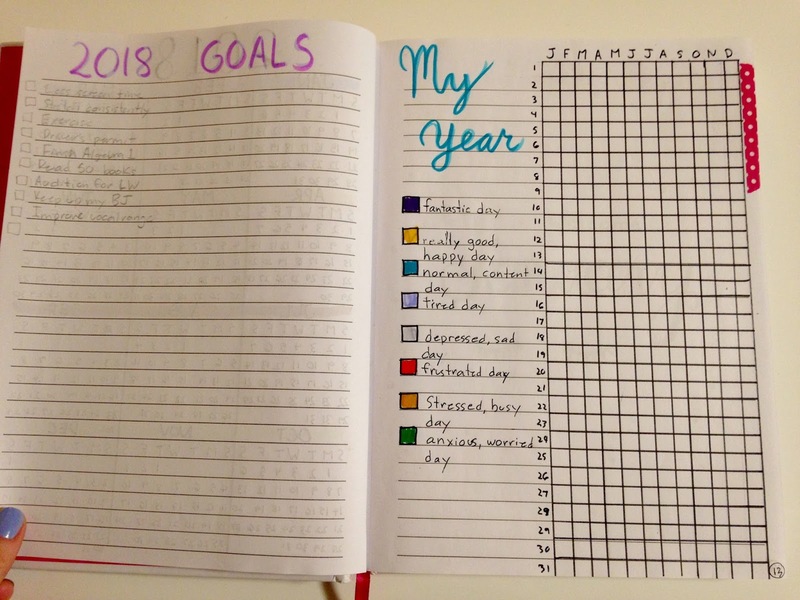 On the left I have my 2018 goals, and the right page is an emotions tracker. I think that's what it's called... When I look at the year in tiny little boxes like that, it look so short. Here's a closeup of what each color means. 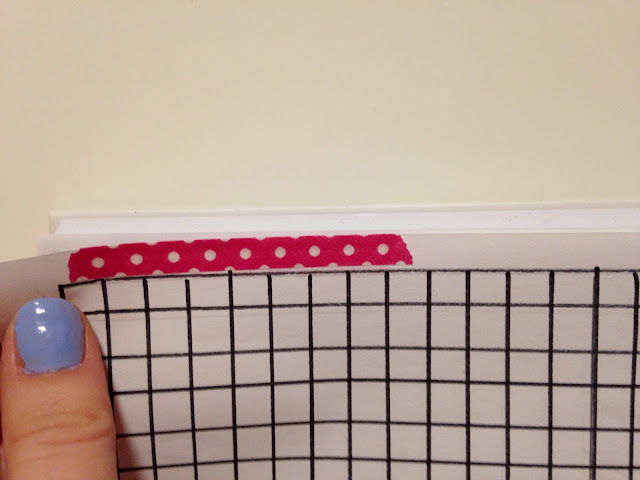 Since I'll be visiting this page a daily, I added a piece of washi tape to the edge. This one makes me really happy too. Left side, is personal goals, to do-s, etc. 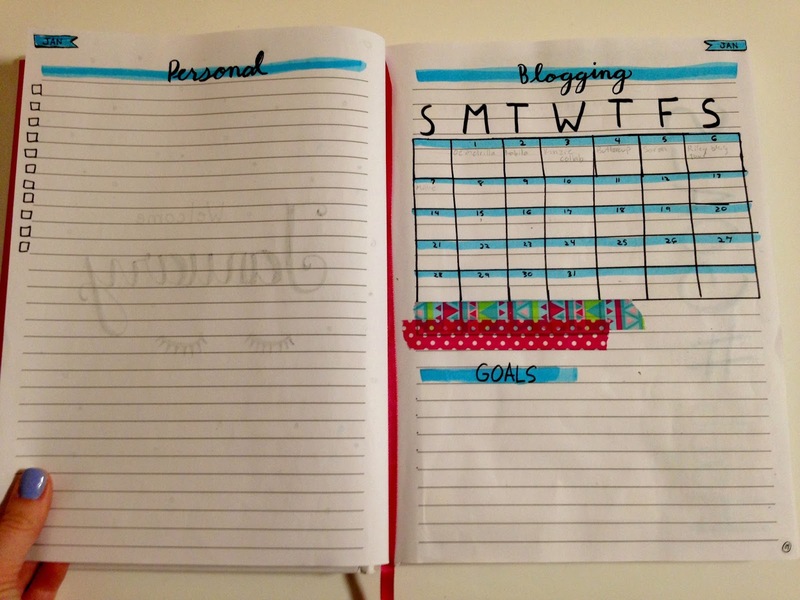 And the right is my blogging schedule. Ahh, my lovely little habit tracker. The little washi tape part on the upper left is covering a mistake. Don't beat yourself up about the little glitches. You will make mistakes, so it's a nice way to hide them. 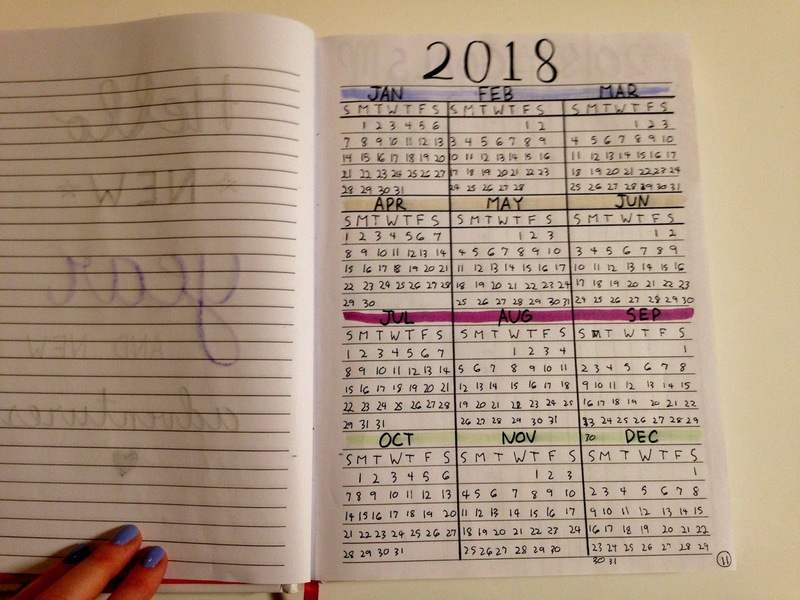 As I go through the month, I'll color in the things I did each day. Then here is a brain dump. It'll probably end up being random story ideas, or thing that bled over from other pages, but I hope to make it look pretty. Okay, okay. THIS, this is my favorite page. The other ones were my almost favorites, but this one is the best. It's just a monthly spread, but it's so lovely, right? And here is my final page. I will have a replica of this spread on the next few pages, until the start of February. Do you keep a bullet journal? What's something you wish you'd done differently with yours? Which page is your favorite? Do you have a lined journal like mine? Would you like to see more tutorials similar to this one? And a random question; how's your day going? This is super tidy and cute! I love it! *sputtering laugh* Girl, your "minimalist" BJ is waaaaay more fancy and beautiful and complicated than mine!!! I was really excited to start mine but, like you, it sorta became a burden. I tried to not use it for a month but it only lasted a few days. o.O I guess I'm dependant on it but at the same time kinda lazy about it? Idk man. I think I just need to keep working at what is effective for me. My brain is pretty busy. Anywho! I really love your spreads and your layout- it's so clean. Great job! THANK YOU SO MUCH, KENZIE! *cheers* That's great! I TOTALLY know how you feel. Haha, I don't really know either. The same thing happened last year. Yeah, there are a few things I'm definitely going to change about mine for next month. Loved it! It's so pretty and well organized! Thank you so much for all the neat ideas, Ella. 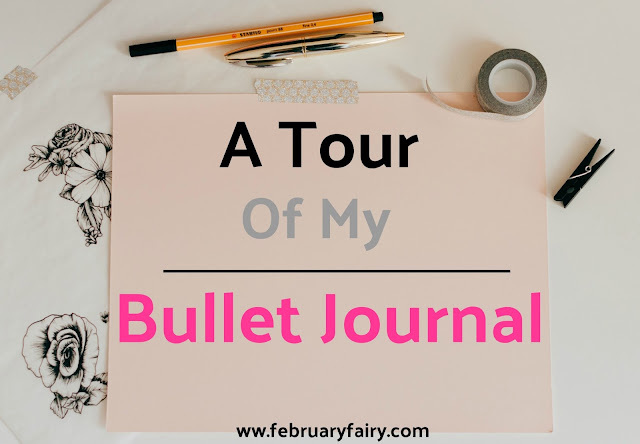 I started a bullet journal and I'm still looking for ways to fill it! I love how you made lined paper work just as well as dotted or graph paper. I remember seeing some really expensive bullet journals online, but I just went and bought an inexpensive one. I couldn't justify spending a ton of money on a notebook, ya know? I'd love to see more tutorials from you! Sure thing! Oh, that's the easy part for me. ;P Thanks! It's like the saying, "necessity is the mother of invention." Yeah, if I really enjoy this one and keep up with it, then I'll splurge on a more expensive one later on. I totally get that. I LOVE THIS, ELLA! Your emotions tracker is awesome! I love how specific they are. And yessss, your February layout is beautiful! I love bullet journaling so much. Mine is dotted. 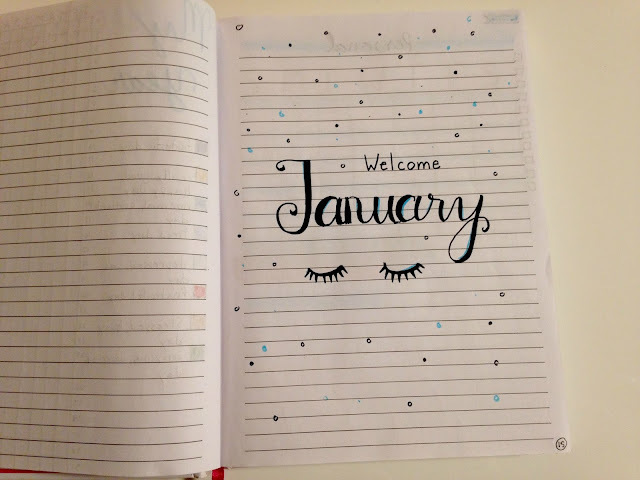 I think what I’m doing differently this year, is not making it to where I have to rely on it TOO much, because it did get stressful last year. So, staying light tracker wise! Oh...and I made a key, and literally never use it. I pretend it doesn’t exist, haha! Thank you, Riley!!! Yeah, I saw some that were really generic, and I know I'm waaay to complicated for that. XD Thanks, girl! Yes, that's really good. It's nice to only have to spend a minute or two one it daily. Haha, that's exactly what I did with my last one! Thank you, Audrey! Really? I feel like it's kind of sloppy... Nice! I would love to see a post about it! *hint-hint* Yeah, that's sort of what I turned the Personal page into. Thanks for your sweet comment! 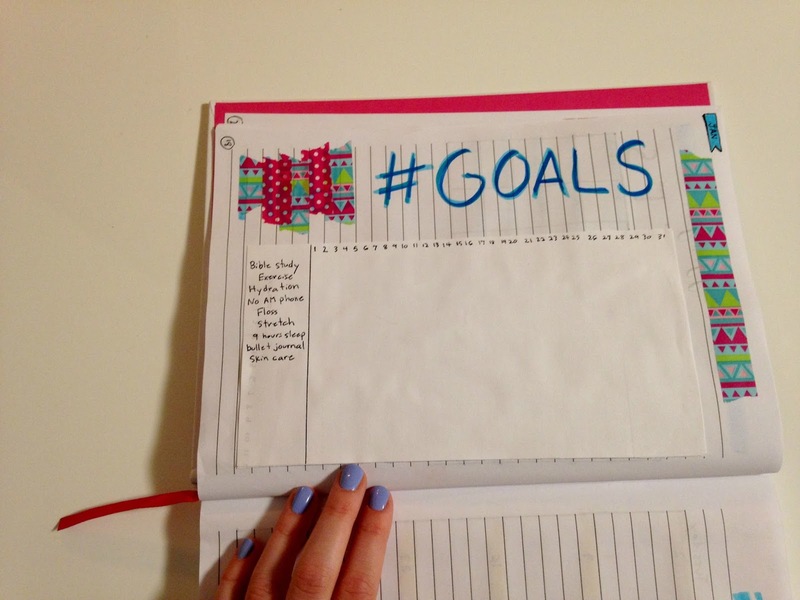 OH MY GOSH YOUR BULLET JOURNAL LOOKS AMAZING! Like, I'm dying. You are so creative! Thanks, Lily! Yes, me too! You totally should! 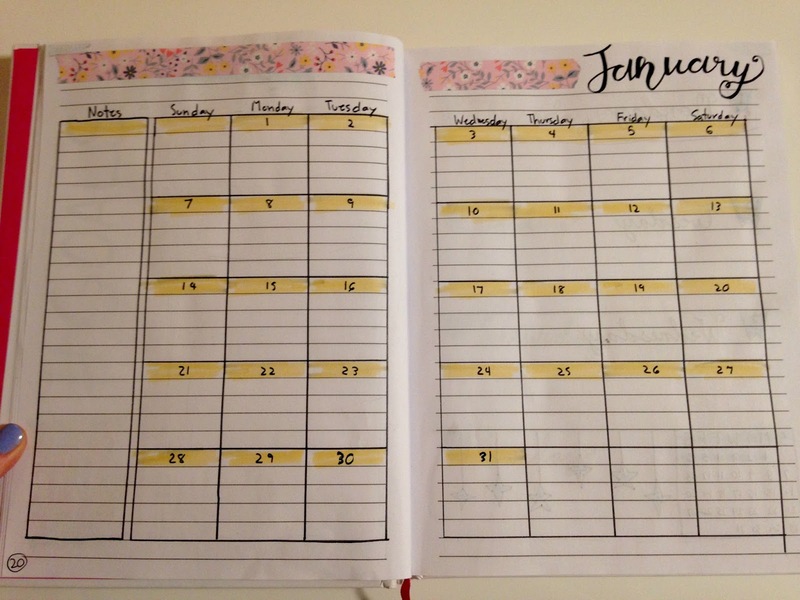 Your monthly spread is just too adorable for words!!! 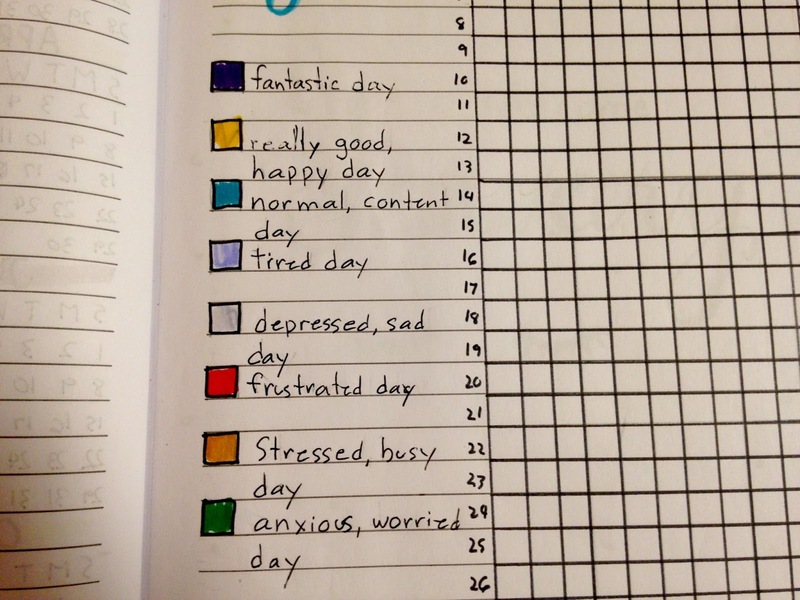 I wish I was that organized to have a bullet journal, but alas the main problem arises from inconsistency. xD You’re so organized and I love it!!! Hey Ella! Your blog is cute! I happened upon it just now and have enjoyed some of your posts. 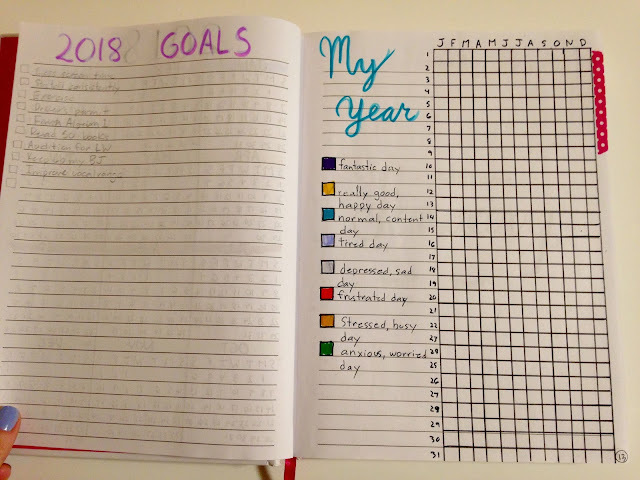 I kind of want to start a bullet journal now, and I tried it for like two days once and gave up because I felt bad at it, but yours seems almost manageable and looks fun! Ahh I love it: it's so cute!! 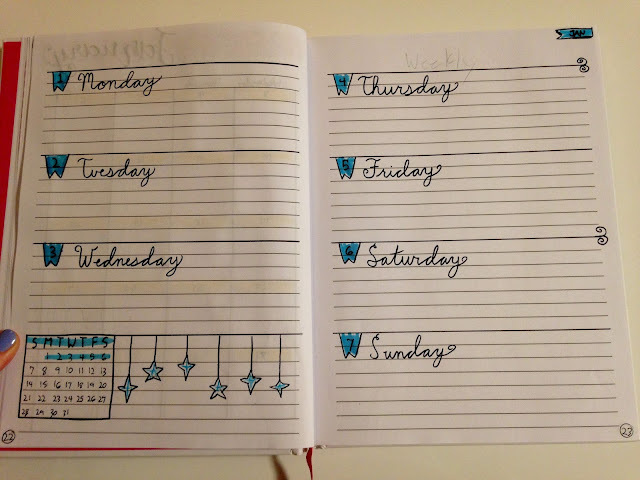 I use grid paper for mine, because I find that it makes everything so much neater that way. The pixel a day thing is really interesting but I decided not to do one this year. Thank you, Hanne!!! I really hope to get one with grid paper next time around, but this works for now. Oh, yay! The more the merrier! Hmm, I might have to try this! I love how aesthetic yours looks, your handwriting is awesome!